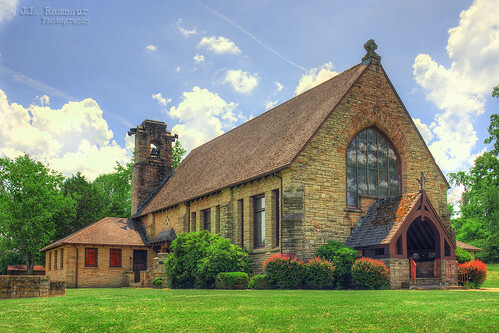 The Alpine Institute was a Presbyterian mission school located in Alpine, Tennessee in Overton County. Operating in one form or another from 1821 until 1947, the school provided badly needed educational services to children living in the remote hill country of the Upper Cumberland region. In 2002, several of the school's surviving structures were added to the National Register of Historic Places as a historic district. John Dillard (1793–1884), a minister affiliated with the Cumberland Presbyterian Church of Southern Appalachia, established the Alpine School atop Alpine Mountain in 1821 and expanded the school in the 1840s. The school was burned by bushwhackers during the Civil War and again by the Ku Klux Klan in the years after the war. The school was re-established in 1880 at its current location at the base of Alpine Mountain, and under the leadership of future Tennessee governor A.H. Roberts continued to thrive into the following decade. In 1917, the better-funded Presbyterian Church (U.S.A.) assumed control of the school and helped it develop into one of the state's most competitive rural schools.